Prof. Sola Ajayi is an experienced agricultural scientist and higher education manager with several years teaching, research, and University management experience. Prof. Sola Ajayi is an experienced agricultural scientist and higher education manager with several years teaching, research, and University management experience. 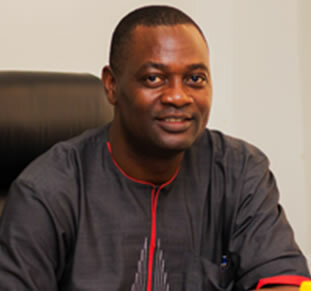 He obtained B.Agric (Plant Science) First Class Hons (1991) and M.Phil. (Plant Science) (1997) both from Obafemi Awolowo University, Ile-Ife and Dr. sc. agr. (Seed Biology) from Christian Albrechts University, Kiel, Germany (2003). He was awarded the Faculty of Agriculture and Alli Idowu Prizes for being the student with the best overall performance in the final B.Agric. degree examinations and Professor Duncan’s First Prize for being the student with the best project work in the final B.Agric. (Plant Science) degree examinations (1991). He started his career as a Graduate Assistant at Obafemi Awolowo University in 1993 and rose through the ranks to become a Professor in 2010. He was a Research Fellow at the Institute of Crop and Grassland Science, Federal Agricultural Research Centre, Braunschweig Germany (1999-2003), Intermittent Visiting Scientist at Pioneer HiBred, Parndorf, Austria (2000-2001), Postdoctoral Scientist at the Plant Cell Biology Research Unit, School of Biological and Conservation Sciences, University of KwaZulu-Natal, Durban, South Africa (2003-2005) and a founding Member of the Sustainable Futures in Africa Network. He has hosted and mentored 4 postdoctoral candidates and supervised more than 20 Master and doctoral students. Prof. Ajayi has more than 50 scientific publications to his credit. As an expert and acknowledged research leader, he has vast research and industry experience on seed systems, agricultural innovations and enterprise development, research management, agricultural policy dialogue and mentorship of early career researchers (ECRs). His research focus has been on improving crop productivity through seed technologies, genetic resources conservation and enhancement, and the impact of climate change on food security. He is well networked with experts in the agricultural research-for-development fraternity. Among several programmes that he is currently leading are (i) institutional strengthening programmes for the mentorship of early career researchers under the UKAid-funded Climate Impacts Research Capacity and Leadership Enhancement for sub-Saharan Africa Programme (CIRCLE); (ii) exploring the nexus between agriculture and artisanal mining, and (iii) improving productivity of underutilized plant species for food security. Prof Ajayi has held several management positions in the University system, mostly at Obafemi Awolowo University, Ile-Ife. Until he was appointed as the Director of Academic Planning and Partnerships at the Technical University, he was the Chairman, Faculty of Agriculture Postgraduate Committee /Member, Board of Postgraduate College, OAU (Jan-Jun, 2017). He held several other positions at OAU among which are Member, Strategic Planning Committee for the development of Obafemi Awolowo University’s Strategic Plan for 2016-2020 (2015); Member of the Appointments and Promotion Committee (2015-2017, 2007-2009); University Orator (2015); Member, University Research Committee (2014-2016); Chairman (2014-2016) and Deputy Chairman (2011-2014) of the University Security Committee; Director, University Teaching and Research Farm (2012-2016); and Acting Head, Department of Crop Production and Protection (2006-2008), among several others. In 2017 he received the Green Award from the National Association of Agricultural Students (NAAS, OAU Chapter) as the Most-liked Lecturer in the Department of Crop Production and Protection. 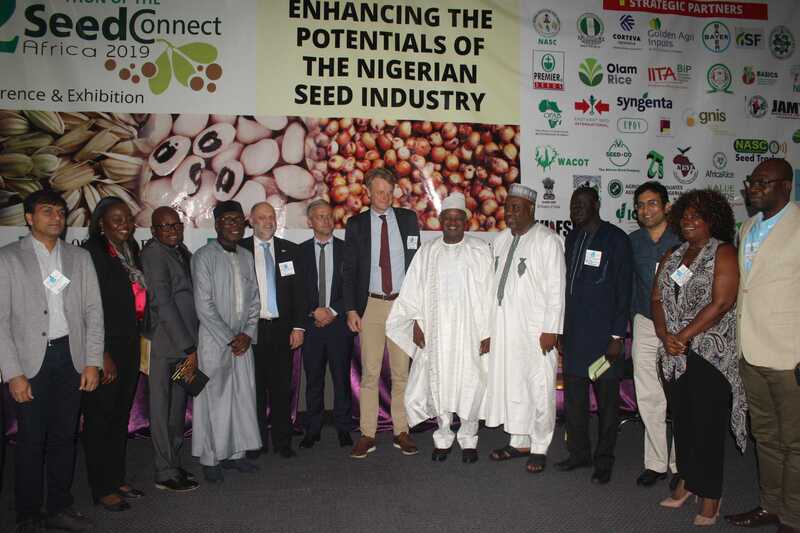 Prof Ajayi has participated in several national and continental agricultural policy dialogues and regularly facilitates national stakeholders’ meetings on seed sector development, improving crop productivity and increasing farmers’ income. He has consulted and managed several agricultural development projects for national, regional and international organizations like the Federal Ministries of Environment and of Agriculture; West and Central African Council for Research and Development (CORAF/WECARD), the United Nations Development Programme (UNDP), the Food and Agriculture Organization of the United Nations (FAO), United Nations Women, German Agency for International Cooperation (GIZ), Winrock International /United States Agency for International Development (USAID), Catholic Relief Services, and several international consulting firms. He speaks Yoruba, English and German and currently learning French.